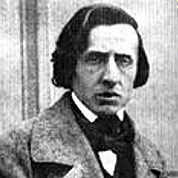 Frédéric François Chopin was a Polish composer, virtuoso pianist, and music teacher of French–Polish parentage. A great masters of Romantic music and has been called “the poet of the piano”. He supported himself as a composer and piano teacher, giving few public performances. For most of his life, Chopin suffered from poor health; he died in Paris in 1849 at the age of 39. Romantic Era. 13 Measures. 2 Pages. Time Signature 4/4. Key of C minor. Transcribed by Francisco Tarrega.